It's Lauren here to share with you my final Design Team project for this month. You can see my first project (scrapbook layout) here and my second project (card) here! 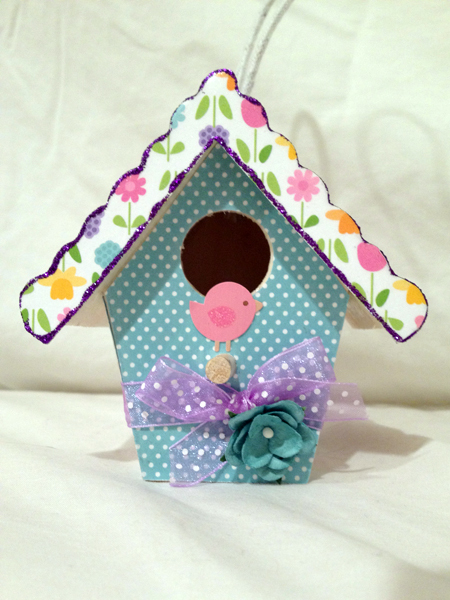 The cute birds from Doodlebug Design Inc.'s Sugar & Spice line cross over very well with their Hello Spring line. And these little birds inspired my birdhouse! 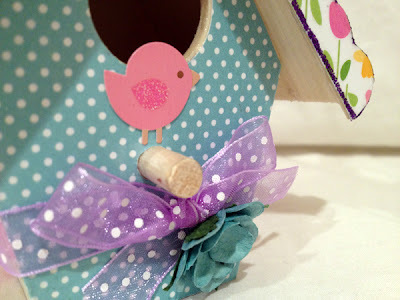 I found this wooden birdhouse and used modge podge to add the paper to the sides of the birdhouse. I tied the ribbon around, added a bird sticker and hot glued the flowers in place. 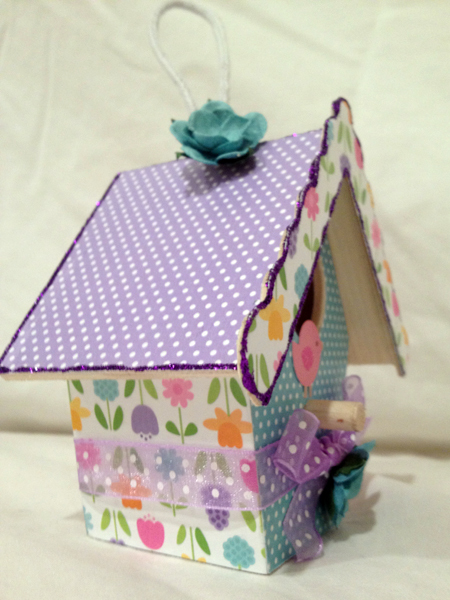 When I was looking at my birdhouse, I realized it needed a little more... bling! I used some purple Stickles and outlined the roof of the house (it also helps hide any paper that doesn't quite cover all of the birdhouse). :) I hope you enjoy this project; it looks great on a desk at work or in a windowsill.